October has arrived, and that means along with Halloween decorations, Pink is everywhere! 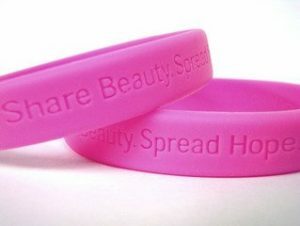 October is known across the world as Breast Cancer Awareness month. The purpose of this campaign is to raise awareness about breast cancer. We want to do our part and make you aware of how important breast care is for both women and men. Staying on top of breast care is very important when it comes to reducing the risk or spreading of Breast Cancer. There are various screenings such as mammograms, breast ultrasounds, biopsies, or self-exams that can alert you if breast cancer is a concern. Each month you should lie on your back and perform a self-breast exam. To examine your right breast, raise your right arm and roll towards your left until your breast is flat on your chest. Using your index, middle, and ring finger make small dime sized circles. Increase and decrease pressure as you go making sure to thoroughly feel each area of your breast. Switch hands and repeat the process on the opposite side. After discussing the best age to begin with your doctor, women should begin getting an annual mammogram. A mammogram is an x-ray of your breasts. This can help to identify any abnormal formations under your skin. Breast ultrasounds are usually the first go to for concerns regarding masses in your breasts. As a safe screening option, younger women can receive a breast ultrasound. Speak with your healthcare provider for more information regarding breast ultrasounds. After either a breast ultrasound or a mammogram, your doctor may want to do a biopsy. If a mass is found, a biopsy will inform your care provider if the lump is cancerous or benign. Although being told you have a lump may be nerve-wracking, not all lumps are breast cancer. A biopsy will give confirmation of whether or not further procedures are necessary. For more information on breast cancer screening, contact us today! Breast Cancer Awareness Month is the annual national campaign to increase the awareness of breast cancer. Also called NBCAM, October is the month were women, men, public service organizations, professional medical associations and government agencies work together to promote breast cancer awareness all over Michigan and the Nation. Early detection is imperative, 1 in 8 women will be diagnosed with breast cancer in their lifetime. Individuals who detect this disease early in the localized stage, the 5-year survival rate is 98%. Said by the ‘National Cancer Institute’. Westland Medical offices are actively participating in your early detection and mammography testing for your breast health. Breast cancer affects millions of women, families and even men, National Breast Cancer Awareness Month raises awareness and is a type of health advocacy to give knowledge and services to individuals and families. 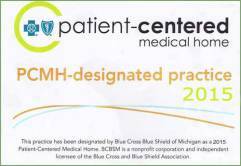 Millennium Medical Group in Westland Michigan provides and encourages health care to families, communities and the public. Let us inform and help you this October and any time to early detect, diagnose and find treatment for breast cancer.